During the past few weeks the leading football boot manufacturers have released a wide variety of new models and colourways. Despite the current economic climate, consumer choice continues to grow and expand with ever more speed. The shelf life of football boots continues to shorten each year. With the World Cup coming up next year in South Africa, no matter what pair of football boots you’re currently lacing up you can bet your money they’ll be out of fashion in a matter of months. 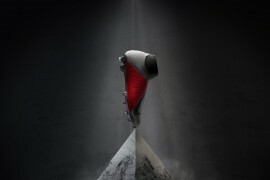 As for the “technology” incorporated into these football boots, they’ll be far “outdated”. For Ronaldinho fans I’m sorry to say that I believe his signature line of boots may be dropped. The good news is Nike will be adding to their product range with the new Nike CTR360. I’m also led to believe the ‘shotshield’ technology is to be removed from the Laser III and I’d assume Nike will release an improved version of the Vapor in conjunction with the 2010 World Cup. The other heavyweight adidas will also be developing their range. The next F50 is said to end the TUNiT system which could be replaced with traditional bladed studs.' Also on the horizon before the turn of the year is the Predator TruStrike, followed by the adiPure III shortly afterwards. All these new football boots to come and I haven’t even touched on the likes of Puma, Umbro, and Lotto amongst others. As you may have guessed, I am a football boot nut and as a result enjoy having a broad selection of football boots to choose from, but I do sometimes feel like I am being fleeced when a slightly varied version of a boot is released, especially after just investing in a new boot. Many young footballers like to stay up to date with fashion these days, but its becoming even more expensive to do so. It seems possible that NikeiD and miadidas may soon become obsolete. With an ever increasing selection of colours anyone can find a boot to match any kit or a boot that will make them stand out on the pitch and have them personalized to top it off. In an industry where plastics and flash colours prevail, I have to pay my respects to the traditional football boot. Models like the the adidas Copa Mundial that have withstood the test of time and continue to offer quality comfort and touch. The newest editions of traditional football boots sometimes go unnoticed. The adiPure II, Puma King XL, and Nike Tiempo Legend III include the classic lines and traditional styling, but with updated materials, enhanced features and new design details. 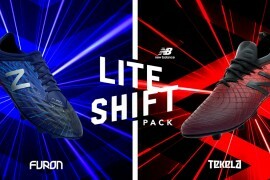 They are what a football boot should be about, but it seems all the marketing is geared towards the flash boots. 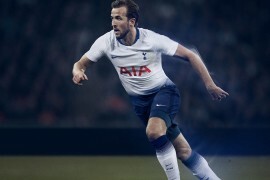 For this reason I have to give some praise to Umbro for reaching back to their roots in the designing of the new England kit and the soon to be released Speciali. David Beckham in the new England Kit, with Umbro pitch side hoarding. Umbro’s return to its heritage for inspiration reflects a growing trend for a return to simple football values. 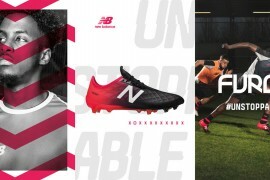 Umbro is first and foremost a football company and have acknowledged the growing demand in the football boot market for more traditional looking and styled football boots. There is an over abundance of multi-coloured, eye-catching football boots available, but not every player wants to pull a pair of bright pink or neon green boots out of his bag before stepping out onto the pitch. Are you one of them or do you like the brash, in-your-face designs currently out there? Let me know by commenting below. I see your point, but when a market is willing to buy boot after boot, brands will exploit the market. Lets say Nike didn’t bring out loads of new colours of a boot, Adidas would and would take that market share away from Nike. A vicious circle which will only be stopped by consumers not putting their hands in their pockets. I prefer more traditional looking football boots, even though I bought myself a pair of Mercurial Vapor IV’s the other day. I’m afraid I’m all for crazy colours and lurid designs with much personalisation. I myself have a pair of orange f50’s with a royal blue allesklar piece and white stripes and stitching, with my name and favourite number on the tongue. They are pretty wacked out to be honest but hey, I want to stand out and at the time there was no orange adidas boots on the market, as I am bonafide adidas junkie. They sound wicked. I didn’t know you could customize adidas boots? Well, I prefer the traditional look. And that new England kit, my god, is gooooooooooooooooooooood! i’m definitely not one for the retina-burning colorways. but i definitely prefer white boots to black. i find that white (together with white socks) gives the illusion of speed. while i understand the skepticism about “technology” (and believe me, i tend to treat them as gimmicks), i’ve recently eased up on the cynicism. a few weeks ago, i bought my first pair of predators. although i’m not so sure the powerpulse insoles do anything, i have definitely had to adjust to the rubber ribs–contact with the ball is much stickier than with my previous boots (nike supremacy). that kind of grippier contact changes what happens when i shoot, pass, dribble and trap. when you are talking about how the rubber changes what happens with the predators, does it help or is it useless?? i’ve been thinking about getting some and was wordering about that predator technology. I prefer the original boots but with modern updates and colours. this season i opted for the cream and gold tiempo II’s. They still have style and flare, but are original enough not to look arrogant and flash on the pitch. Plus they are the most well fitting comfortable boot i’ve ever had. Next seasons looms on the horizon, and the new tiempo III’s are horrible, adipure’s too thin for my foot and the kings also the same problem. 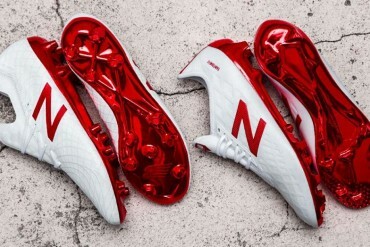 I quite fancy the f50i’s in leather but hate black boots…. really ? there are other companies that sell football boots? the 3 I referred to are the heritage range from the 3 largest boot makers. Reebok boots fell clumpy on my feet, umbro specialis are a bit too retro and have had many pairs rip on me. A defender can only wear black in my eyes. The colours are made to catch the eye, and give the footballer self belief and confidence. I know i dont speak for myself but when im playing confidently i am at my best. Also if i get clumped 10 times a game but score in bright yellow boots i do feel much more proud, and im sure the defender has to swallow that lump in his throat. While colour is an undeniable part of today’s game, some people (not all) have become more obsessed with looking like a great player rather than playing like a great player. My personal preference is either a black boot with some gold or other colour trim or a white boot with some red and/or black trim in it. Colour doesn’t have a huge impact on my game. I’d rather look simple and play great than vice-versa. Also: I’m a defender and let me tell you, an attacker coming towards me with brightly coloured boots is only going to get one thing: the hardest and most crunching tackle of his life; clean tackle of course (don’t wanna get sent off). In these types of arguments I always raise the question: What colour boots did Pele wear? Yet he was, arguably, the best attacking player to ever play the game and the colour of his boots is not what we remember him for… If his boots were red or green or yellow, how would we remember him? The fancy new colourways that continuing getting louder and louder are becoming a bit annoying, but that’s me and I’m not the only person who buys football boots. I like the tradition but in a modern look. Like the Adipure’s. Also a can imagine how much it costs soom poor kid in Vietnam to make a pair of Nike Vapours.. with there cheap plastic materials. I will always favor a leather boot. Not this cheap synthectic material.. I can bet aswell if the companies like Nike & Adidas did not pay millions out to players they would not wear the plastic boots..
good point adam tosic. they would definitely wear leather boots. the likes of the nike ligera, copa mundial, adipure (although never worn them) and tiempo legend are just classic. all you need is leather and a ball, none of this fancy stuff. Those “cheap synthetic materials” have a purpose. Some people have a narrow foot. Leather breaks in and even some of the narrower choices become too wide for some after break-in. Synthetics do not, making them ideal for a narrow-cut boot. And then there is the weight savings, of course. adidas predator black and red are the best boots on the market and always will be..
anywho yes although i like some vapors and i definitely like the lasers, i agree with the absurdity of some of the colors coming out, most notably from the incredibly popular nike vapor range…. but hey, some people like flashy boots, to each their own. 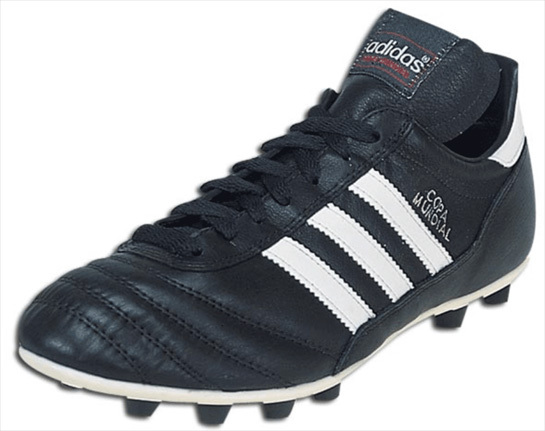 and on the topic of classic style boots, i agree, i love and have all the copas (indoor, team mundial, copa) and their quality is superb…but i still think some technologies can definitely be beneficial….i think even if some techno-boots border the line of gimmick, i think thats fine because it tests different things and if it flops, well, that means back to the drawing board to find some technology that does actually benefit the player. for instance, the legend is definitely a classic style boot, but it also has that air zoom unit in the heel to cushion impact. and you could say the predator started off as a classic boot, but with a bunch of rubbery crap lol in hopes of putting spin on the ball….i can see that making sense in theory….much like a golf club, the player’s foot hits the ball at varying wedge-like degrees to create different angles and flight…but golf clubs also have ridges in the head in order to put spin….same principle i guess. I am a young guy, and honestly, i am attracted to those new, colorful boots. I am a defender and i am wearing adiPure II’s at the moment. A lot of the guys my age wear mercurials and f50s so i am tempted to get them. I havent tried f50s, but the synthetic stuff on the mercurials are the most uncomfortable feel ever. The copa’s and the adipures are by far the comfiest, therefore if you are looking for comfort, go for the classic boots. But if you are looking for design and looks, go for the new stuff. It really depends on who you are. Does anyone else think the line that will replace ronaldinho, the CTR360 think it stands for ChrisTiano Ranaldo 360? It stands for “Control” 360. I’ve been wearing vapor IIIs for a couple of years now, but it has nothing to do with the styling or crazy colors. I’m a defender, and have to be able to keep up with the fastest players on the pitch. I feel the vapors give me that extra step, great traction to be able to stay with the trickier players, as well as an unprecedented touch, and stability I have not experienced with any other boot. I’ve worn predators, legends and V-Konstructs…all fine boots in their own right, but none fit as well as the vapors. I think the tejin and the heel cup combine to truly “adhere” to your foot. Admittedly, the sole in not the most comfortable, but I thinkĂÂ˘Ă˘â€šÂ¬Ă˘â‚¬Âťand, as is the case with high performance vehiclesĂÂ˘Ă˘â€šÂ¬Ă˘â‚¬ÂťI’m willing to sacrifice a cushy ride for sheer performance. Personally, I don’t think much of the Vapor IVs. I tried on a pair, and found that Nike had changed the fit, and my foot shifted around in the toe and heel like it hadn’t before. I’m glad to see the new Superfly appears to have done away with the unnecessary elements, and returned to the sleeker, snug, Vapor III fit. I’m not a flash player, and don’t really need a flash boot in citrus green or hot pink. I don’t need a lace cover, or crazy heel accents. The Vapor is a fine boot for performance; it doesn’t need all that excess crap. I think these days, if you want to stand out, get some non-flashy boots? I bought some red Nike Veloci’s recently and found it uncomfortable playing in them. They looked good on Benayoun and Crissie Ronaldo, but playing in them for me, was just a distraction, I didn’t play well. So, when I returned to a simple black/brown pair, I felt more comfortable and able to play my natural game. Well everybody has their own belief on what a good boot is but I think the legends are truly the best boots of all time. Altough im not to sure about the 3’s.. I wear vapors simply because I feel them more comfortable. But I am thinking about switching back to legends. The bright colours are cool. But an all white boot is classic..
With a new colourway coming out every few weeks in boots, you can pick up the older colourways at great discounts. I am not that fussy so this works for me when it’s time to buy a new pair. I have been playing football for my local team and now am going into under18 and i have noticed the changes in boots over the years, i feel that if you are going to buy a pair of boots the fit is everything most player know what brands suit their feet, mine personaly is nike. The main thing i go for when buying boots, leather its a must, moulded sock liner so you cant feel the studs pressure, price, durabilty. If you concider that most boots are replaced every season due to wear ect then there is no point getting Ăâ€šĂ‚ÂŁ100 pair. My tip is to wait out the season and buy the old style of the boots say the ones that were Ăâ€šĂ‚ÂŁ100 but now are a much more reasonable Ăâ€šĂ‚ÂŁ40-Ăâ€šĂ‚ÂŁ50. With the new techology being introduced and players claims that they are now able to run faster of shoot better, you have to ask could they still do that without the technology, the answer is yes. If having yellow or red boots makes you think and feel that you are a better player, then i see no point in not getting them. With new companys trying to match the propertys of leather with synthetic plastic really gets under my skin, they could just use leather, this would mean that the boots would be cheeper as they would not have to spend money making new ‘smart’ materials. I feel that compant take it too far in trying to make boots better, there is nothing wrong with the current system! how is making boots better going to help? Surely trying to develop ways to make the actual player better is going to be a better benifit. As for leather vs synthetic i’d go for the leather it feels better on your foot, moulds to you foots shape allowing better touch. The new colour ways of boots are a blessing in disguise for many boots fans as they allow boots to become out dated making them up to 75% less of there value meaning you can pick up a quality pair of boots for Ăâ€šĂ‚ÂŁ30, as long as you aint fussed about staying up to date. get a picture of the new white and red legend III’s and put it against the legned II’s all white. Have a couple of looks and you willl realises it is much nicer and sleeker looking than the II’s. I myself like traditional boots. Though I do currently own the Laser 1’s (Black leather), Laser II’s (White/black[shotshield]) and Air Zoom Total 90 III’s (Maroon). I didn’t get these because of the so called technology, I got them because of the color, and my previous experience with the line of cleats. I also have 2 pairs of Tiempo II’s. One in the White/Gray colourway and one in the Black/Volt coulourway. These are a more traditional shoe obviously. I got the Black/Volt shoes because I personally like black shoes with a nice trim to them. Black and yellow really gets me for some reason. Also, (I’ve had a lot of shoes) I have a pair of nice traditional Lotto’s waiting for me when I get back to school. Last year I also went through two pairs of old Tiempo I’s both black, one FG and one SG, as well as an old pair of Nike Air Zoom Total 90 III black colourway. So now that I have experimented in a way, of what I want. I have decided that I prefer the traditional boots with some exceptions of course. Also, the saying look good, feel good, play good, applies to this I think. If people feel they look good in the flashy boots, they’ll feel good, and probably play good. That’s the way it should go. I think I look good in the black boots. I feel clumsy in white boots. I really like the nike vapours range as they fit my feet better than any others out there i have got a pair of black and yellow f50.9’s but im not keen on them. I am currently wearing vapours IV which fit me perfectly. They are bright pink but every time i step out on the pitch they give me that little bit more confidence to feel like i can take anyone on. Its just a personal preferance but i love the bright colours! I personally find heritage boots more comfortable, i have had Air Legend 1s for 2-3 years now. The more you play with them the more comfortable they get, but i did get a pair of red laser IIs from kitbag cause they were half price and had my size, the legends are getting a bit small, I think for next season I’ll be using the laser IIs..they offer good protection. Shame I have an injury now, so hopefully lasers will help with that. everyone has different shaped and sized feet which means that different boots/brands will fit them better than others. It’s basically all about your own personal preference. you have a point, every month or so new boots come out in a variety of colors and technology, but the world cup is next year, so y not buy dem now? cleats dont run out of fashion until like 3years after, so if u wanna buy a pair of shoes then do it! i mean whats the point in moaning about what boots you like because they all suit a specific player, so if your the adipure man go for adipures, the idea of having so many materials,fits of boot and tech is so that each individual can feel comfortable on the pitch with the boots they are wearing, i’ve noticed some of you saying your a defender and you hate vapours ect. but you may hate vapours thats why theres other choices like the adipure legend ect. now i playing an attacking midfield role and i do wear vapours but didnt want to because i agreed with tech and materials ect. but after a season of spending over 700 quid on 7 pairs of boots ive found the boots i love and that suit my fast, snappy and energetic style of play. but like i said i train in copa’s as they are comfortable but when its a game useless for what i do, i must admit they might work well with a fullback, but you look at every team almost every player has a different pair of boots if there was only 1 style the game wouldnt be they way it is. I just picked up a pair of Puma King XL I FG’s. The reason I switched is because I was sick of all the gimmicky crap and just wanted a real soccer shoe. The Puma King fit me the best, and although it’s a gold colourway, it’s a classic boot and I have had nothing but good comments regarding it. You don’t need gimmicks to make you think you are a better player – you either have skill or you dont – a soccer shoe isn’t going to change that. Good last point there Al! If you put Ronaldo in a pair of classic boots would his game really change that much? Also does a boot being 100 odd grams lighter really make that much difference? In a 20 meter dash to a ball is a boot so light that you can open up a 5 yard gap? I personally prefere heritage boots. More comfortable and fit your feet better. No gimmicks just pure quality. 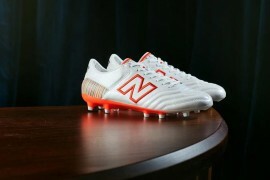 I love the umbro speciali, they r so underestimated compared to the more flash boots on the market. I agree with Zach. I’ve had a pair of Legend I’s for about a year now and they’re still in excellent condition. I’ve been looking online for another FG pair. If anbybody knows where I can get a size 10…..
ive been wearing adidas f50 tunits since the last world cup, didnt have a real problem except the fit is small around my toes. so while trying on new (last years) boots this week, ive decided to buy nike mercurial talatia v in orange/silver for ÂŁ30 (yes, im a tight arse, and felt like i would rip the lace cover on the vapors), i had a run around the park in them and find them very comfortable and it feels like i have better traxion (i got the FG) and didnt have sore feet which i get after 35 mins in the f50s. i always thought i had wide feet but it seems they are long. gonna play a match with the lads on sunday and see how they get on. they do seem to put my weight on my toes so im thinking im not gonna get caught off balance (im a striker) which when i play against quick defenders im hoping if im on my toes, i might have got to them crosses and scored a few vital goals (89th min, semi final, and i got caught off balance, got a toe on the ball and fluffed it).